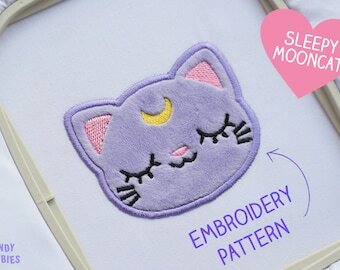 Sleepy Mooncat patch in the shape of a kitty head with closed eyes, pink nose and yellow moon-crest on its forehead. The cute kitty gives the impression of being blissfully asleep, maybe dreaming of great adventures yet to come? 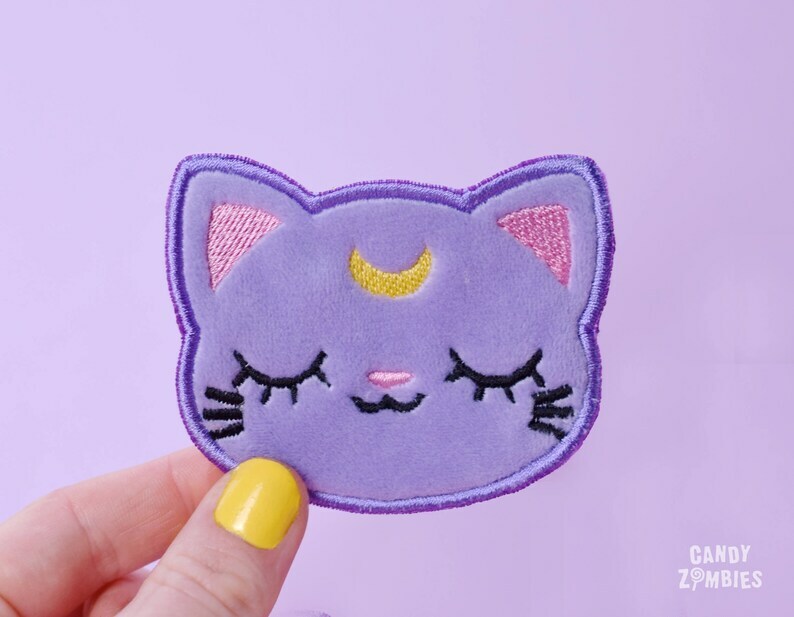 The kawaii patch has been embroidered on lavender minky fabric which makes it really soft to the touch. This patch has to be sewn on. The listing is for one (1) patch. Please choose the desired amount from the drop-down menu! These patches are absolutely beautiful! Great craftsmanship and detail. Highly recommend to anyone thinking about purchasing.